Express Entry – How to draft an employer reference letter that works! What every immigration officer expects to see when they look at yours. For those lucky enough to obtain an Invitation to Apply (ITA) under the new Express Entry regime, collecting those dreaded employer reference letters can be a royal pain. However, not every reference letter is accepted. So I’m going to explain exactly what you need to include in yours to ensure you get credit for your foreign work experience. As a farm boy, I can remember my dad sending me and my brothers the 23 mile drive to White’s Hardware store in Carmangay, Alberta (that’s my dad’s wagon at the entrance to town), to pick up much needed farm supplies. There were times when we got to the store only to realize that we didn’t bring the money with us. It would have been a long drive back home to face my dad to explain why we didn’t do as he asked. So we did what any local farm boy would do – we asked Mr. White if we could take the supplies and pay him the next time we were in town….essentially put it on our “tab”. Fortunately for us, Mr. White knew our family well and trusted us to honour our word. We were able to return back to dad with only mild chastisement for having inconvenienced Mr. White. However, the old adage: “Your word is your bond“, no longer exists in the world today. And it most definitely does not exist within the world of Express Entry. One of the most important components of an Express Entry application is skilled work experience. If you are not fully credited with this experience, it could make the difference between your Express Entry application being accepted or rejected. That should be good enough, right? Unfortunately, no. One of the most common reasons an Express Entry application is rejected at the permanent resident (PR) stage is due to deficient reference letters. When Express Entry was first released, CIC did away with all of the old document checklists for the PR programs. When this happened, we were not exactly sure how reference letters were to be worded. Given the sometimes harsh consequences of failing to get them right, it left many of us immigration lawyers quite unsettled to say the least. Fortunately, as time has passed, we now have a much better understanding of what CIC is looking for within those pesky reference letters. CIC may still accept some reference letters that are not 100% perfect. However, in CIC’s world of “one touch” processing, who can really afford to take a chance? I have set out below the essential components every reference letter must include to ensure you get awarded the full skilled work experience you are entitled. Signature of your immediate supervisor or personnel officer. People come and go from a business, so if your immediate supervisor no longer works there, have someone sign the letter who knew you and is in a position of authority within the company. Business Card of the person signing the letter. Don’t forget to ensure this is included with the reference letter when you receive it. Obviously you will only need to upload a digital copy of it to the Express Entry portal. However, don’t make the mistake of thinking it is no longer required in our new virtual Express Entry world. Let’s be honest. There is no “perfect” reference letter. However, if you can get every one of your prior employers to include all of the information above, you will significantly increase your chances of being awarded all of the skilled work experience points you deserve within Express Entry. Stay tuned to future blogs, where I will address the process of determining your proper NOC for each position you are claiming under Express Entry. Make sure to share your e-mail address with me so that you can be placed on my notification list when new information is released on my website. I will be speaking at the follow upcoming events. If you would like to register, please follow the links below for further information. Let me know if you will be attending as I would love to meet you in person. Have you had your Express Entry application returned, or refused? If so, let me know and I will share in Season 1 – Episode 3, some helpful suggestions for improving your chances of success on the second attempt. I answer questions each week on my podcast. If you have a question, comment, thought or concern, you can do so by clicking here. We’d love to hear from you. However, please remember that if your question is not general in nature, I will not be able to respond. You would need to book a paid consult through my law firm: www.ht-llp.com. I al red y created my express entry profile and registrated in Job bank. However when I get email notifications about positions that match with my profile often times when I go to Job bank it says the position was closed by the employer, the same day I receive the email. Is this normal? 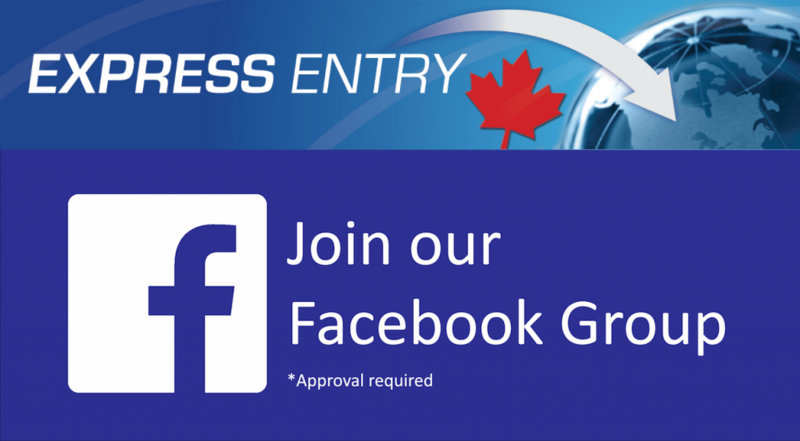 You can absolutely refile your express entry profile. However, I would highly recommend that you make sure the offer letter is uploaded with your application. As I have indicated in previous Podcasts, your application must be complete as the officers tend to refuse all applications that are deficient in any way. Sir im going to re apply my permanent residence .i have police clearance here in canada taken last may 2015 do i need to renew it. Doesnt indicate when is the expiration . Who needs a police certificate? For the country you currently live in, the police certificate must be issued no more than six months before you apply. For countries where you have lived for six months or more, the police certificate must be issued after the last time you lived in that country. As long as your police clearance was not issued more than 6 months ago, you may resubmit it. However, if it is older than 6 months, then I recommend you obtain a new one prior to filing. I recommend that you include both within the same letter. If my company doesn’t have a website then how do I prove that it exists? Would tax returns address this issue? Obviously, I will provide all the details on the company letterhead. If self employed, yes, tax documentation, letters from accountants confirming the existence of the business as well as incorporation documentation etc. would all be possible options. I have worked with 7 companies having similar roles and responsibilities so is it fine if i have the roles and responsibilities common ( repeated ) in all the experience letters. If you worked for seven different companies, you need to ensure that each letter is accurate. If they are all the same, IRCC may feel they are not genuine. I am working in one group.From 2011 till 2012 i was in one business unit of group.Then Company transfer me to another role in 2012 with different role and responsibility as per their requirement. Since 2012 till now I am in same role and responsoblity. For reference letter do i need to mention my earlier role and responsiblity and current one or only current will suffice the purpose.Please guide in this. You will need to have a reference letter which includes all the experience for which you wish to obtain CRS points. If you do not include that experience, then you need not include it within the reference letter. However, depending upon how you answer the questions within the Express Entry portal, you need to make sure that you are including all information that has been requested with in eAPR document checklist. If you fail to do this, then IRCC may return the application for not being complete. I have worked in a company as part time job about 7 years ago while I was still a full time student, and I included this experience in my application. But it’s been too long and I can’t get in touch with my previous employer, the only thing i can provide was T4. Since this is not my most important work experience, I am not sure if reference letter is also a mandatory document? Good question. You need only include the job experience you wish to have assessed for CRS points under Express Entry. If you do not need it, then you do not need to include it. However, when you are asked about your personal history, you do need to disclose everything that you have been doing during the time period requested by IRCC. I have agriculture (BSc), forestry (Master) degrees and lastly a diploma in Multimedia Design (Web design & development). But I am currently working as System Support Specialist & Team Lead (NOC: 2281 Computer network technicians) since November 2012. I completed a six months short course in computer hardware & networking before the job. Since I do not have any computer engineering degree, can I still apply for Express Entry under this NOC? Completion of a college or other program in computer science, network administration, Web technology or a related field is usually required. Any time it states “usually” required, or “may be required”, this means it is NOT mandatory and as such you do not have to have these educational credentials or experience (if this is the case) in order to work in this occupation. Thanks for your reply. Really appreciate. Hello, many thanks fir this helpful post. However, I have some few questions. My current employer has refused to give a generic reference letter (TO WHOM IT MAY CONCERN), they are requesting for a specific address for the letter. Who can the reference letter be addressed to. I am contacting my former employers and getting all the documentation needed for the EE application, even though I didn’t get an ITA yet. However, I didn’t sign any work contracts when I started working for them and I didn’t keep record of pay stubs. Would the job reference letters be enough for IRCC when going through my work experience? Documenting work experience is a little tricky when you don’t have payroll records, I am going to try to include this in a new website focused exclusively on Express Entry. Subscribe to my mailing list and I will notify you when it goes live. I used to work in an organization where I had a couple of designations through the course of my career. One of the designations was “Programmer Analyst”, which is given as an example title in NOC code 2174 (http://www5.hrsdc.gc.ca/NOC/English/NOC/2011/QuickSearch.aspx?val65=2174). However, my job description doesn’t match the description of 2174. It rather matches the description in 2171 (http://www23.statcan.gc.ca/imdb/p3VD.pl?Function=getVDDetail&db=imdb&dis=2&adm=8&TVD=122372&CVD=122376&CPV=2171&CST=01012011&MLV=4&CLV=4&CHVD=). What job code should I apply for in this case, 2171 or 2174? Many people are asking me questions about identifying the proper NOC and because of this, I am going to try to include this in a new website focused exclusively on Express Entry. Subscribe to my mailing list and I will notify you when it goes live. In my case, I have worked for 4 different MNC organizations in last 10 years (as we need to produce employer letters for last 10 years only) and as per the CIC guidelines, to arrange reference letters of that type would be very tedious, since once you are out of an org, it’s difficult to get any further assistance/traction from there. In India we usually get offer letter / appointment letter at starting and relieving letter at the time of separation and which does not include that much details as CIC expects!! You need to do the best that you can and provide evidence of your efforts to obtain proper letters. Many people are asking me question about these issues and because of this, I am going to try to include this in a new website focused exclusively on Express Entry. Subscribe to my mailing list and I will notify you when it goes live. I’ve a total of 14 yrs work experience. I can arrange for the letter with roles/responsibilities from my current company where I’ve been working in the last 7 years. I seemed to be having a challenge arranging for letters from prior experience since the managers whom I was reporting to are no longer with those companies. I only have the exit letters on company letter head with the start and end date for those previous experiences. How do you think I can address this issue of arranging work experience letters with roles/responsibilities for past experiences? Many people are asking me a lot of questions regarding reference letters. I am going to try to address this in further detail in my new website devoted to Express Entry. Subscribe to my mailing list and you will be notified as soon as it goes live. I have worked for 6 organization and received reference letter from all. But couple of employer didn’t mention “Annual Salary” in reference letter. Will it be fine or i need to provide letter of explanation on this? Secondly, In my second organization, i got promoted as “Sr. Test Engineer” (Mention in promotion letter). Later this was updated in system as “Sr. Software Engineer” without providing any written letter to me. When i resigned, in relieving letter has desigination as “Sr. Software Engineer”. Do i need to provide explaination letter here as well? AS I have explained to others, I have had a lot of people ask specific questions about the EE process. I am going to be providing more resources on a new website geared specifically to this category of immigration. Subscribe to my mailing list and I can notify you as soon as it goes live. After Invitation received for Permanent residence. What are the documents need to upload for “Letter of Employment” section. And is it necessary to attach Lmia with “Job Offer “section. I have had a lot of people ask specific questions about the EE process. I am going to be providing more resources on a new website geared specifically to this category of immigration. Subscribe to my mailing list and I can notify you as soon as it goes live. I see that there is a slot for Letter of Employment, Employment Record and Offer of Employment. I was confused about the difference between these letters as they sound similar. Please help!! I agree that there is definitely confusion about this. The Letter of Employment box is really pointless. However, in order to make sure my applications are not refused for not uploading “something” into that section, I simply upload my employment reference letters as well as the Job Offer for good measure. The portal should have removed that section a long time ago. Hi! I worked for the same company in two different periods of time, for the total of 12 months. I left that job and then came back to complete the hours for my application, and did it just on time for applying. My checklist requests two separate letters for my experience at the same company. Can I just submit one and explain why? Also, I still qualify for Express Entry if I took a break from my NOC position, right? What if the boss giving you the reference no longer works for that company? that is the case for my last 4 jobs, all would give me amazing references but none of them still work at those companies. If your managers are no longer with the company, you can still include statutory declarations from each of them confirming your role while they were supervising you. Ultimately you have a responsibility to provide as much information as you possibly can to confirm your exact job duties. 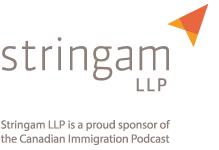 Listen to the podcast I did on this topic: http://www.canadianimmigrationpodcast.com/express-entry-employer-reference-letters/ there are other suggestions contained within this episode. i have all the certificates where i worked accept one which i worked Saudi Arabia for 13 months i have lost it but from that company i have only one training certificate and i will not be able to get again because the hotel name and also the management has been change so it will make me trouble if i apply for express entry ? Please let me know if there is any alternative if the employer is not giving the reference letters. Will the job offer, experience letter will do? Hi I am working as a post doc research fellow in chemical engineering in a university for the last one and a half years. Should I use NOC code 4122 or the qualification specific code 2134. My job duties match more with NOC 4122? Pls. help. I would need to examine your job description carefully. Unfortunately because of the many specific requests I get every day, I am not able to offer “specific immigration advice” for free. I would be happy to help you through a paid consultation. You can make this request through my law firm website: http://www.ht-llp.com/contact/. I wish you all the best. I want to apply EE. I’m married but I’m not going with my wife, she will join me after one year. Is her police clearance and medical certificate required as I apply for mine now. Absolutely. All spouses of principal applicants must be medically examined and provide police clearances in almost every situation regardless of whether or not they are accompanying the PA to Canada. There may be some unique situations of marital breakdown where an argument could be made that a spouse will not be required to be examined. However, in these cases, the spouse is not intending on coming to Canada in any event. I did my masters program in UK before I want back to my country home last 7 months. please do I need police clearance from both Uk and my country home. You need a police clearance for every country that you lived in for more than 6 months after turning 18 years old. In your case, if you lived in the UK for 7 months, you would need a police clearance from the UK. I have 3 years of working experience in a company. However, the company has been closed 4 years ago. I still have connection with the employer. Could you give me an advise of how to prove to Express Entry officer that I have that 3 years experience?. Please can you tell me who do i address my reference letter to? I will appreciate it if you can give me a full address information of the receiver of the letter. I was working for a company 3 years ago and during the period of time I was working there. The owner sold the business to someone else and I was let go 4 months after. My question is who should I ask to write my reference (or experience) letter for me? Should I ask the person who hire me or the person who lay me off? Hello. I’ve more than 15 yrs of working experience and can take appropriate referrence letters from former employers except 2 private companies whom I had worked for. They both no longer in business for couple of years. Experience is 4 mnths for one and 9 mnth for another. A have a legal job experience list officially stated in my country (Russia) where records about both these companies are signed and sealed companies authorities. Is it enough for EE? What should I do for proof my working experience without RL? Ilia, you can listen to the Canadian Immigration Podcast episode on Reference Letters via this link:http://www.canadianimmigrationpodcast.com/express-entry-employer-reference-letters/. This can be very useful. I have my Offer Letter and Salary slips and Experience letter which has my date of joining and date of relieving and my designation. My employer is saying that they can not issue the letter of reference. It is against the company policy to disclose the roles and responsibilities of an employee. Let me know how we can prove our job in that case. I have been working in the same company for 20 months which is in Canada. When I was hired I promised to get the supervisory position after 3 months so I worked those 3 months on minimum pay rate. Then I got promoted as supervisor but I was working 32 hours for next 11 months with $3 raise. And after 14 months of my employment they gave me another $5 raise for same position and working 40 hours a week now. So do I need to mention all these stages in my job reference letter? Can I include my first 3 months of employment as skilled work experience? hi thank you for the info. I have one question on reference letter. is it ok to write hourly rate instead of the annual salary? Just want to check my company are not providing any job duties letter to employee is there any substitute for this. To get the letters from my previous employers I’ve sent them a template letter and they just filled in the blanks, so all my 3 letters really look like the same but with some differences (duties, salary, title). They all have their own different headed paper and are signed by the managers. Do you think they might think they are not genuine because they used the same template? If they refuse my application how long does it usually take for this to happen? Can I reapply right away? what is the NOC of o levels teacher, is he eligible to apply as primary applicant? I am in process of submitting my ITA application. My current employer doesn’t want to issue a Reference Letter at per their policy as the same can get issued only to an employee who decides to exit the company and I am still working with them. But I have my job contract, acceptance of job offer letter, bonus letters, increment letters and payslips which I can submit along with my application. Please advise, if the CIC officer can accept my application without a reference letter from my current employer, if I submit a personal undertaking stating the above reason for the unavailability of the reference letter? I have 2 reference letters from my past employers. I started collecting the reference letters from my previous employers. I wonder if I will need the original versions of these letters at any point during my PR application? After I upload the scanned versions to the portal, will CIC ask for the original versions as well? My problem is that I have several previous employers, and it will cost me a lot to receive the original letters by mail (I’ll need to pay the courier fees by myself). Can I just get the scanned letters from my previous employers by e-mail, since I will upload the scanned versions to my application anyway?